This is NOT a beginner's group! The aim with this group is to have some FUN! 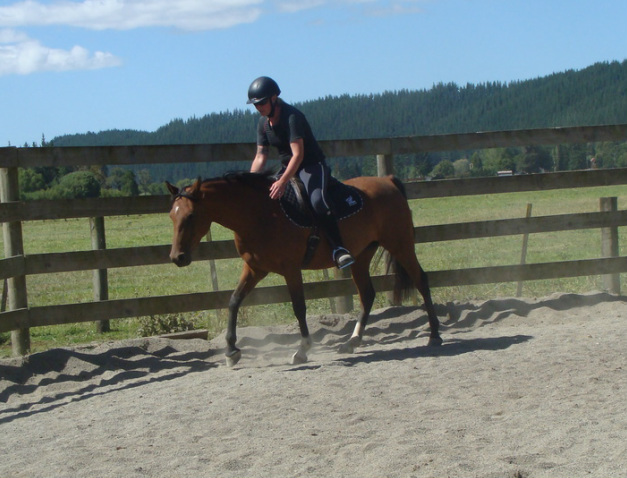 The afternoon session may include teaching your horse to stand on a box, walk over tarpaulines and bridges, formation riding or even going out into the hills for a trek together. May suit those people who have young horses who may need to socialise more or a rider who would like to ride their horse in company for a change!!! $50 if using one of our horses. Please book ahead so we can confirm numbers.